With Massachusetts' driving laws among the weakest in the nation and drinking being a large part of the culture, there isn't much of a deterrent to keeping drunks off the road. Drink and drive in Massachusetts and lose your license for a few months. Do it in Maine and lose your car. Unlike Massachusetts, which is still struggling to find ways to address the problem of chronic drunken drivers, Maine has been enacting unflinching laws for 20 years. Maine boasts some of the toughest laws in the nation. 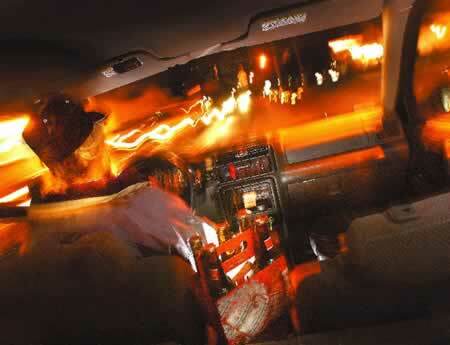 The state also ranks among the top five in the nation for the lowest percentage (22) of alcohol-related fatalities. Massachusetts is among the top five, at 42 percent. Vehicle impoundment and in some cases forfeiture. 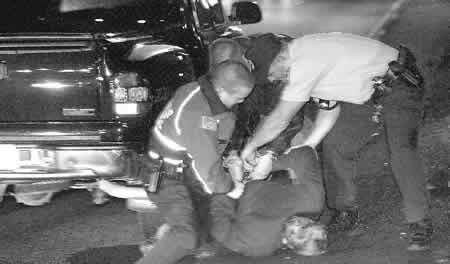 A zero tolerance blood alcohol policy for convicted repeat offenders, meaning they can be arrested for driving with any alcohol in their blood. Enhanced penalties for drunken drivers whose blood alcohol level is at or higher than .15, because repeat offenders frequently test higher than .08, which is the legal level at which a person is considered too drunk to drive. Maine drivers have a harder time beating a drunken driving charge in court because prosecutors can use refusal to take a blood alcohol breath test as evidence. Drunken drivers in Massachusetts have the right to refuse a breath test with no legal repercussions other than an automatic 180-day loss of license. Experts say that is a loophole that many drunken drivers exploit. Maine did not become a model overnight. "It has been a slow progression," said Robert O'Connell of the Maine Bureau of Motor Vehicles. "But Maine has taken an innovative approach to what had become a serious problem." Statistics show that the laws have been effective, too. The percentage of alcohol-related fatalities in Maine has declined 32 points since 1982. For the same time period, the percentage in Massachusetts declined 13 points. Click here or on graphic to view chart showing where Massachusetts ranks with other states for laws on drunken driving. "We have been progressive," said Lynn Mansfield, executive director of Maine Mothers Against Drunk Driving. "The message is hitting home with people, and they are making smarter decisions about not drinking and driving." Lawmakers and advocates of tougher laws point to Maine's statistics when they say Massachusetts has far to go to get habitual drunken drivers off the roads. So why has Massachusetts been so slow? Some say the problem lies in the Legislature, where there has been an ingrained reluctance to pass strict laws because the state's constitution would leave them open to legal challenge. At least a half dozen drunken driving bills are pending before the Legislature, including one filed in September by Gov. Mitt Romney that targets repeat offenders. It would increase the license suspension period for second offenders. Romney also directed the Registry of Motor Vehicles to require interlocking breath alcohol test devices in the cars of convicted drunken drivers who have been given hardship license exemptions. Interlock devices prevent drivers from starting their cars if their blood alcohol content is .08 or higher. Forty-three other states already have interlocking device requirements on the books. "We're far behind in terms of drunken driving legislation and in what Massachusetts is ready for," said Barbara Harrington, executive director of the Massachusetts chapter of Mothers Against Drunk Driving. "You can file a piece of legislation, but trying to get it passed is another story." State and federal statistics show drinking is a large part of the culture in Massachusetts. In 2000, only five states had a higher per-capita alcohol consumption rate than Massachusetts: Alaska, Colorado, Delaware, New Hampshire and Nevada. Nationwide, 29 percent of young people start drinking before age 13; in Massachusetts, the figure is 51 percent, according to the state Department of Public Health. Marshfield police officer Leo Egan, left, Detective Jeff Brennan, center, and officer Mike Dimeo arrest Arthur Payne of Marshfield on charges of driving under the influence of alcohol. This is at least the second arrest for Payne 59. He struggled with police when they tried to take him into custody. "People who start drinking earlier in life are more likely to be in alcohol-related crashes," said Ralph Hingson, a sociology professor at Boston University. "That's a concern, because nationwide, the average age of people beginning to drink is declining." Harrington said the public has to want tough laws. "There is a perception that alcoholism is not a serious problem, or a serious crime, and that makes it difficult to build support for stronger laws. People will get what they demand," she said. State Rep. James Vallee, D-Franklin, a former prosecutor in Quincy District Court who spearheaded recent state acceptance of the so-called "per se" law, which defines a blood alcohol level of .08 as irrefutable proof in court that a person is legally drunk, said that measure alone reduced drunken driving fatalities by 9 percent in California the first year it was in place. Still, he said, more must be done. "It's an epidemic," said Vallee, House chairman of the Legislature's Judicial Committee. "Behavior needs to be changed. We need to continue to be vigilant and put punishment in place to tell people you can't do that." Canton police Sgt. James Wolfe agrees. He said license suspension alone is not enough of a deterrent for repeat offenders. "The only way to solve the problem is to incarcerate people for longer periods. If they're in jail, they're not going to drive, and hopefully they'll learn their lesson," he said. Staff reporter Dennis Tatz contributed to this story.